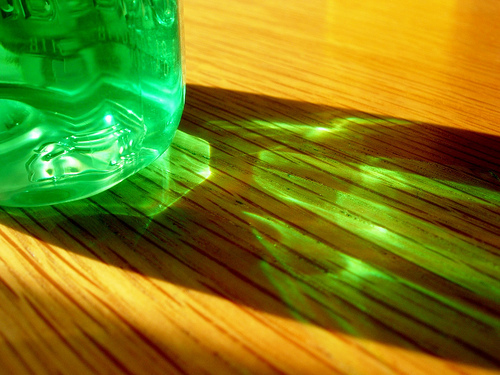 For most people, antimicrobial mouthwashes – “germ-killing” products such as Listerine – aren’t necessary for good oral hygiene, but they can be helpful. By controlling the growth of S.mutans and other microbes that contribute to oral disease, they can help you keep your gums healthy and get rid of bad breath. But so can effective brushing, flossing and rinsing with plain water. However, when a person is already showing signs of gingivitis or periodontitis – “gum disease” – their dentist may recommend an antiseptic rinse to help reverse the disease and restore the gums to health. But despite claims to the contrary, one thing chlorhexidine may not do is prevent cavities. According to a 2008 literature review, research outcomes have been mixed, with insufficient data to support the use of chlorhexidine to prevent cavities. Since dental caries is a disease with a multifactoral etiology, it is currently more appropriate to use other established, evidence-based prevention methods, such as…diet modifications and good oral hygiene practices. Recent findings also indicate that the effect of an antimicrobial agent for reducing the levels of mutans streptococci or plaque reduction may not always correlate with eventual caries reduction. Now comes a study which shows chlorhexidine to offer no real improvement over natural antimicrobials when it comes to managing oral biofilms. showed immediate killing of oral biofilm bacteria, comparable with chlorhexidine. Moreover, exposure of a biofilm to these supernatants or chlorhexidine, yielded ongoing killing of biofilm bacteria after exposure during re-deposition of bacteria to a matured 16 h biofilm, but not to a much thinner initial biofilm formed by 2 h adhesion only. This suggests that thicker, more matured biofilms can absorb and release oral antimicrobials. Conclusions: Supernatants based on herbal- and chitosan-based toothpastes have comparable immediate and ongoing antibacterial efficacies as chlorhexidine. Natural antimicrobials and chlorhexidine absorb in oral biofilms which contributes to their substantive action. Which raises the question: If the effects of natural substances on oral biofilms are at least as good as those of a chemical substance, why opt for the chemical? In other words: why make things more complicated than they need to be? Meantime, if you do like to use a mouthwash – and some do just for the extra fresh and clean feeling it gives – there are excellent natural products available. 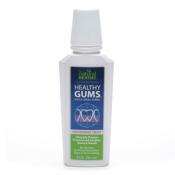 I prefer Natural Dentist Healthy Gums Mouth Rinse, which contains a blend of cleansing and soothing botanicals including echinacea, golden seal, grapefruit seed, aloe vera gel and calendula. It contains no alcohol, artificial sweeteners, dyes or preservatives, and will not stain the teeth (unlike chlorhexidine rinses). We have this product available in my Glendale office. 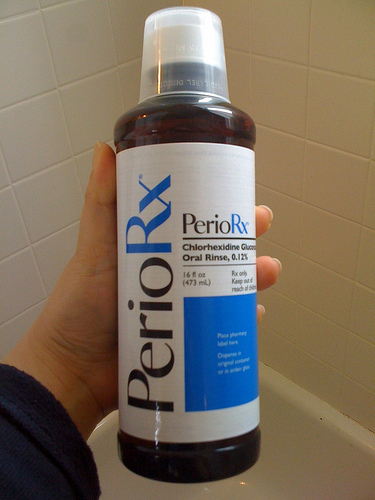 According to the manufacturer’s website, it is also available at CVS, the Vitamin Shoppe and Drugstore.com.